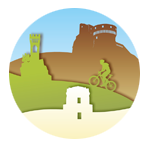 The information refers to those who connect to the site to those who connect to the Romagna Bike Trail site. The information is provided only for the site mentioned above and not for other websites that may be consulted by the user through special links. Data Times are processed for the time necessary to perform the service requested by the User, or required by the purposes described in this document, and the User can always ask for the interruption of treatment or deletion of data. The computer systems underlying the operation of the website acquire, during their normal operation, some personal data whose transmission is implicit in the use of Internet communication protocols. This is information that is not collected for the purpose of being associated with identified subjects, but that by their very nature could, through processing and matching with information held by third parties, allow the identification of users. This category of data includes IP addresses or domain names of the computers used by users connecting to the site, the addresses in the Uniform Resource Identifier (URI) notation of the requested resources, the time of the request, the method used to submit the request to the server, the size of the file obtained in response, the numerical code indicating the status of the response given by the server (success, error, etc.) and other parameters relating to the operating system and the user’s computer environment. These data are used only to track the traffic developed by the site, to obtain anonymous statistical information on the use of the site and to check its correct functioning. These data could also be used to ascertain responsibility in case of hypothetical computer crimes against the site. The voluntary sending of emails to the addresses indicated on this site involves the subsequent acquisition of the sender’s address, necessary to respond to requests, and any other personal data included in the message. The voluntary compilation of web forms (field modules) with some minimum personal data involves the collection, in the form of a database, of such data entered by the user and their conservation until the person requesting the cancellation (ex art. 7 of the Privacy Code). Apart from that specified for navigation data, the user is free to provide personal data. However, failure to provide such data may make it impossible to obtain what has been requested. the interested party has the right to obtain confirmation of the existence or not of personal data concerning him / her, even if not yet recorded, and their communication in intelligible form. With regard to personal data, the user has the right to request rectification, updating or cancellation via email at the following address: info@romagnabiketrail.it or by letter to be sent via mail to via del Paradello 148 Casalborsetti (RA) . The User, by filling out the contact form with his own Data, consents to their use to respond to requests for information, quotation, or any other kind indicated by the form header. Personal Data collected: name, surname, company, telephone numbers, email address. This type of services allow interaction with social networks, or with other external platforms, directly from the pages of this site. The interactions and information acquired by this Application are in any case subject to the User’s privacy settings related to each social network. If an interaction service with social networks is installed, it is possible that, even if the Users do not use the service, the same collect traffic data relating to the pages in which it is installed. This type of services allow you to use the User’s Data for commercial communication purposes in various forms of advertising, such as the banner, also in relation to the User’s interests. This does not mean that all Personal Data is used for this purpose.